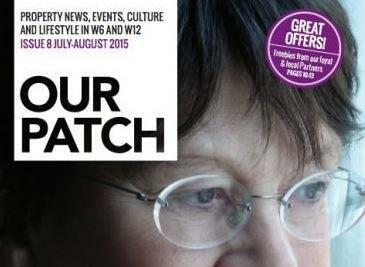 OUR PATCH is a magazine for the local community, distributed to 18,500 local homes and business across Hammersmith and Fulham. Wiinner of the LBH&F Brilliant Business Award for Marketing, it’s a magazine full of local news and views.This edition offers an insight into the fasciating life of agony aunt Virginia Ironside, a closer look at the children’s entainment specialist Kidzania, and some top tips to butterfly spotting in London.There are also some great offers to be had from local businesses, including discounts at some of the best restaurants in the area.OUR PATCH is a local community magazine published and distributed to 18,500 local homes and business across W6 and W12.The magazine is avaible online and at our Hammersmith office. To read a copy please click here.